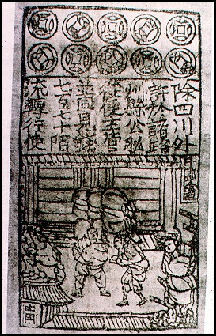 Early paper money The Songs ruled an empire rich in silk, jade and porcelain. They sent trading ships to India and Java and presided over a period of growth in trade and an expansion of the Chinese empire. Trade increased in the Indian Ocean partly as a response to the threat from Islamic intrusions into the area. Even so trade was not a respectable vocation and the emperor seized the property of merchants to create government monopolies. Merchants in the cities became progressively more specialized and organized. They set up partnerships and joint stock companies, with a separation between owners (shareholders) and managers. In large cities merchants were organized into guilds according to the type of product they sold. Guilds arranged sales from wholesalers to shop owners and periodically set prices. When the government wanted to requisition supplies or assess taxes, it dealt with the guild heads. The role of merchants in the Song (and throughout Chinese history) belies the conventional stereotype of China suppressing merchant activity. Robert Hymes of Columbia University wrote: “The older Tang market system, which had strictly confined trade to cities and within cities to specific sites and hours, utterly broke down as urban commerce spread throughout cities and into extramural mercantile quarters. 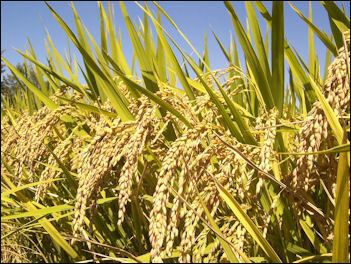 Over long distances, large cities and whole regions of dense population came to depend on ship-borne bulk trade in staple goods, especially rice. Over shorter distances, trade penetrated the countryside, drawing farmers into new periodic market centers and rapidly proliferating market towns.” [Source: Robert Hymes, from “Song China, 960-1279,” in Asia in Western and World History, edited by Ainslie T. Embree and Carol Gluck (Armonk, N.Y.: M.E. Sharpe, 1997). Books: 1) Cambridge History of China Vol. 5 Part One and Part Two (Cambridge University Press); 2) Benn, Charles, “Daily Life in Traditional China: The Tang Dynasty,” Westport: Greenwood Press, 2002; 3) Schafer, Edward H. “The Golden Peaches of Samarkan,” Berkeley: University of California Press, 1963; 4) The Culture and Civilization of China, a massive, multi-volume series, (Yale University Press). You can help this site a little by ordering your Amazon books through this link: Amazon.com. The Song dynasty is notable for the development of cities not only for administrative purposes but also as centers of trade, industry, and maritime commerce. The landed scholar-officials, sometimes collectively referred to as the gentry, lived in the provincial centers alongside the shopkeepers, artisans, and merchants. A new group of wealthy commoners--the mercantile class-- arose as printing and education spread, private trade grew, and a market economy began to link the coastal provinces and the interior. Landholding and government employment were no longer the only means of gaining wealth and prestige. The Songs ruled an empire rich in silk, jade and porcelain. They sent trading ships to India and Java and presided over a period of growth in trade and an expansion of the Chinese empire. Trade increased in the Indian Ocean partly as a response to the threat from Islamic intrusions into the area. Even so trade was not a respectable vocation and the emperor seized the property of merchants to create government monopolies. “In Song times China was a ceramics-exporting country. Song kilns produced many kinds of cups, bowls, and plates, as well as boxes, ink slabs, and pillows (headrests). Techniques of decoration ranged from painting and carving to stamping and molding. Some kilns could produce as many as 20,000 objects a day for sale at home and abroad. Shards of Song porcelain have been found all over Asia. 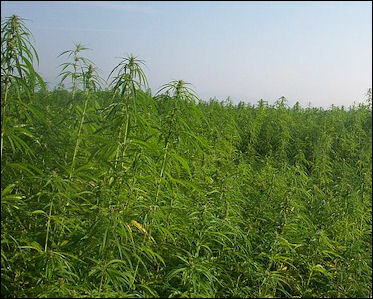 “In farming it is especially appropriate to be concerned about what you are doing Mencius said, “Will a farmer discard his plow when he leaves his land?” Ordinary people will become idle if they have leisure and property. Only those who love farming who behave in harmony with it, who take pleasure in talking about it and think about it all the time, will manage it without a moment’s negligence. For these people a day’s work results in a day’s gain, a year’s work in a year’s gain. How can they escape affluence?